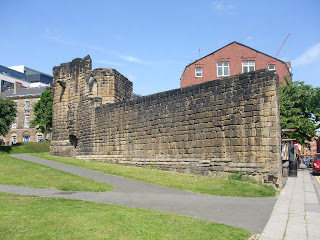 The town wall was constructed during the 13th and 14th centuries to repel Scottish invaders. 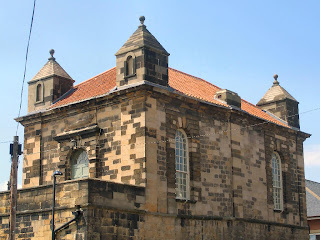 Newcastle is about 97 kilometres (60 mi) from the River Tweed, which marks the border between England and Scotland, as it did then. At that time there was a power struggle between England and Scotland, that eventually led to the Wars of Scottish Independence. 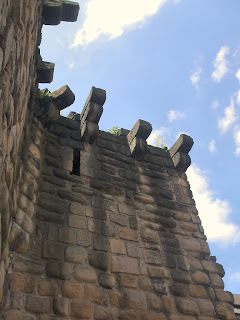 The Scottish kings were always ready to take advantage of any weakness in the English rule to invade the north of England. 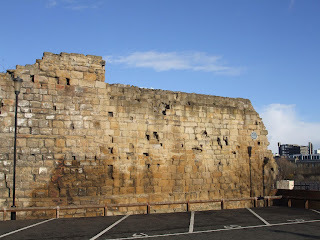 An example of this is David I of Scotland, who took advantage of the civil war between Stephen and Matilda to invade Northumberland in three successive years—1136–8. 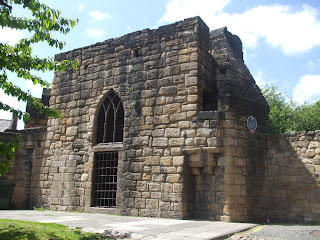 In the Treaty of Durham (1139), David’s son Henry was given the earldom of Northumberland. 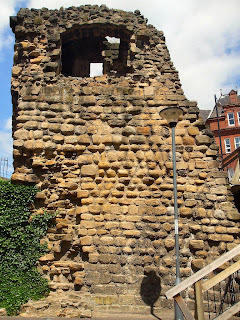 Newcastle was not included in this grant but the Scots ignored this clause and occupied Newcastle until 1157. 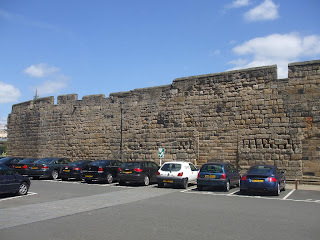 Although the town had a strong castle, built by Robert Curthose in 1080, and improved by Henry II between 1172 and 1177, it did not provide sufficient protection for the local merchants' properties, and so it was decided that a fortified town wall was needed. 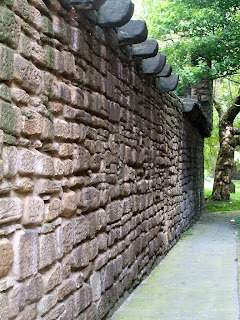 A special tax, or "murage", was levied by the borough to pay for the construction, murus being Latin for wall. It was first levied in 1265, so it can be assumed that construction began soon after that date. 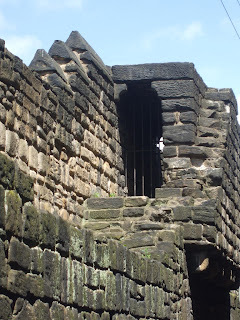 The payment of murage continued for the next hundred years, so construction was probably not finished until at least the mid-14th century. The plans for the route of the wall changed somewhat during construction. 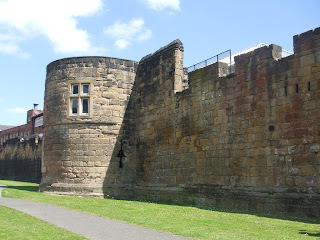 In the original plan, the castle was to be included in the wall as a strongpoint. 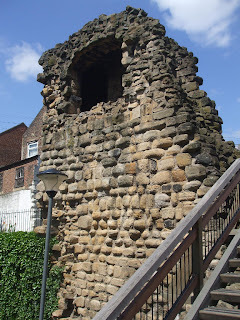 However the castle was set on high ground above the river bank and there were strong objections to this route, as it would miss out the area by the river where many of the principal burgesses lived, leaving their residences without protection. 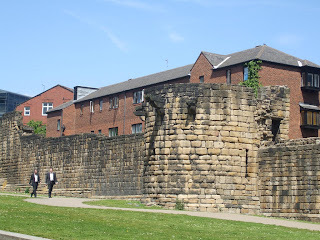 The route was therefore changed so that the wall turned southward at the Neville Tower and ran down to the river. 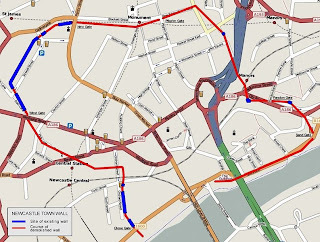 A similar adjustment to the route was made to the east of the city. 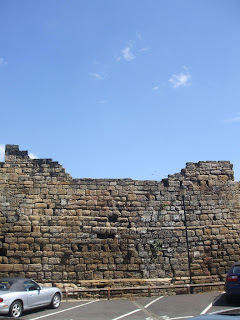 In 1299 the village of Pandon was formally incorporated as part of the city, and so the wall made a sharp turn to the east to skirt around Pandon until it reached the river. 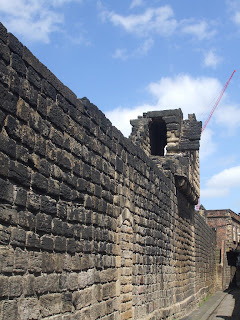 From Pandon, the wall ran westward along the river, separating the town from the quay. 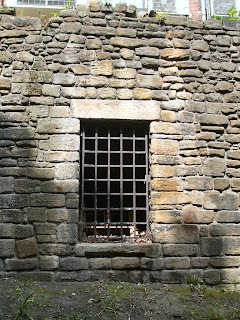 Here, the wall was pierced by a number of water gates that allowed access to the river for loading and unloading of ships. 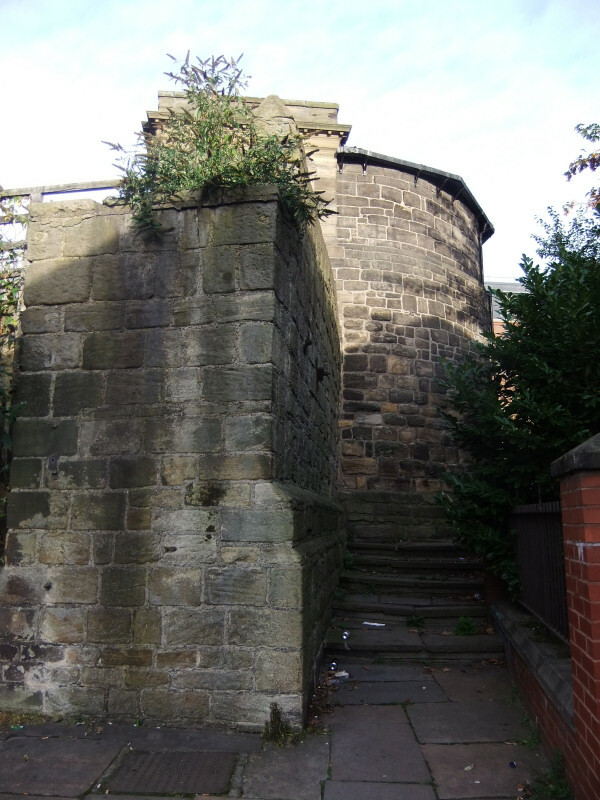 In 1616 it was ordered that these gates were to be closed at night to prevent servants from throwing rubbish into the river. One or two were left open to allow seamen to return to their ships, but these were watched all night. 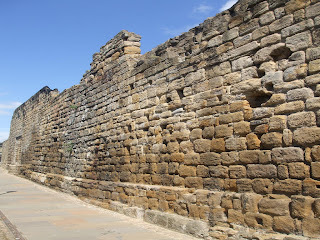 When completed, the wall was approximately 3 kilometres (2 miles) long, at least 2 metres (6.5 ft) thick and up to 7.6 metres (25 ft) high. 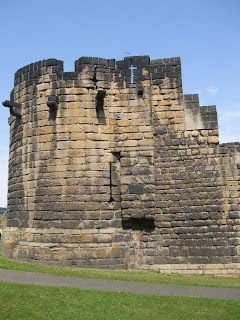 It had six main gateways and seventeen towers as well as several smaller turrets and postern gates. 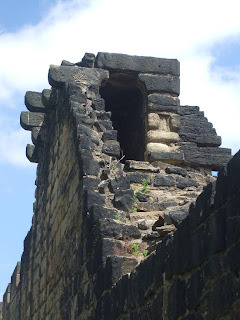 The towers projected out from the walls and were within bowshot of each other, so that attackers trying to scale the walls were exposed to fire from both sides (i.e., from the towers), as well as from the front (i.e., from the walls). 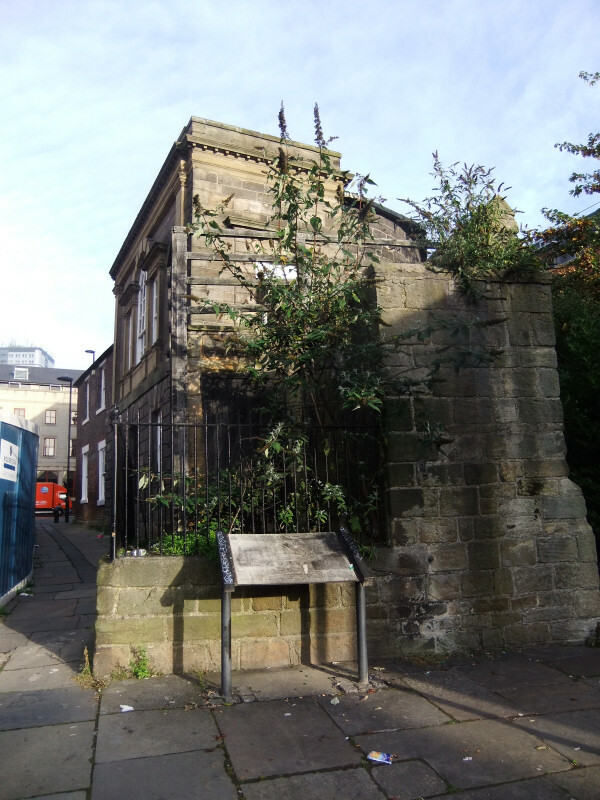 The postern gates were provided for institutions, such as the Dominican Friars and the Hospital of St Mary the Virgin, so that they could access their property outside the walls. Even before the walls were complete, they were supplemented by an outer ditch, known as the King’s Dyke. 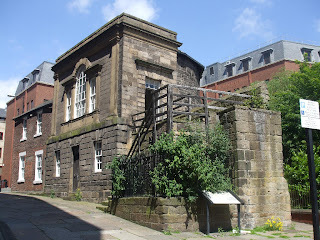 The ditch was over 11 metres (36 ft) wide and 4.5 metres (15 ft) deep in front of the Herber and Morden Towers. 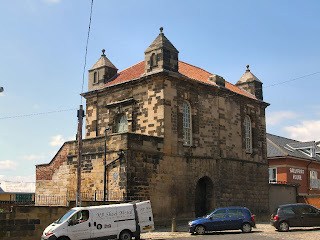 It was completed by 1317. 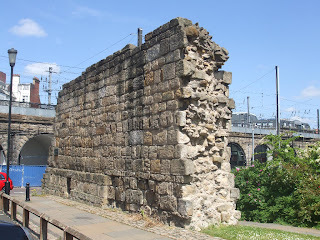 Large amounts of the wall were demolished during the 18th and 19th centuries; the most substantial remains are on the western side of the city. 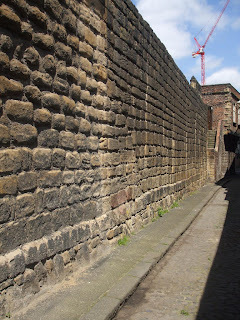 The longest continuous section runs the length of Back Stowell Street, in the Chinatown area. It includes three towers: Herber Tower, Morden Tower and Ever Tower; since 1964, Morden Tower has been used as a venue for poetry readings. At the northern end of this section, the wall has been cut through by St Andrew's Street, with fragmentary remains in St Andrew's churchyard, opposite; at the southern end, Stowell Street cuts through onto Bath Lane. 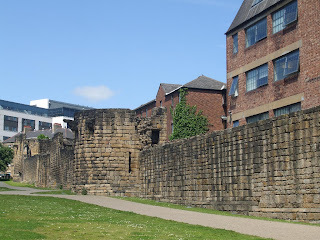 The outer ditch has been recreated along this part of the wall. 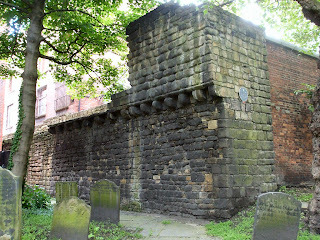 From Stowell Street, a complete section of wall, which includes Durham Tower, stretches southeast along Bath Lane, ending close to Westgate Road. 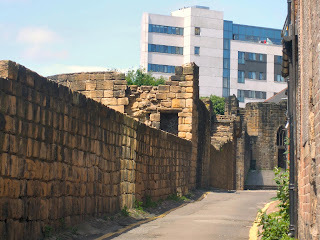 The walls between Westgate Road and St Andrew's Street are known as the West Walls. 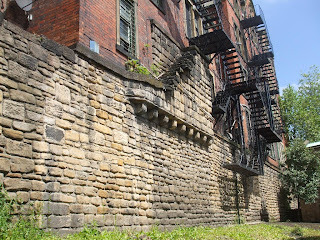 Near the river, a partially demolished section of wall is visible on the steep bank between Hanover Street and Close which, between the 1840s and the 1980s, was covered by warehouses. 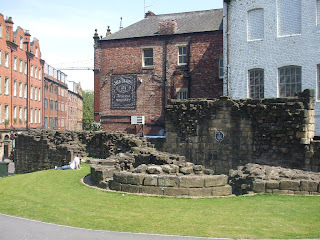 Another substantial portion of the wall stands north of Hanover Street, adjacent to Orchard Street, and the excavated foundations of Gunner Tower can be seen in Pink Lane. 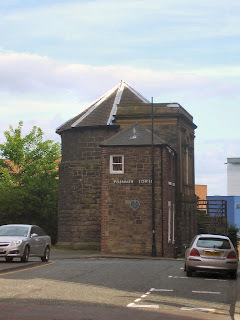 On the eastern side of the city stand three towers: Plummer Tower in Croft Street, Corner Tower at the junction of City Road and Melbourne Street, and Sallyport Tower in Tower Street. 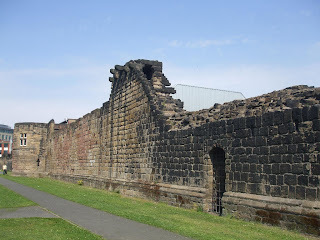 The walls are a Scheduled Ancient Monument. 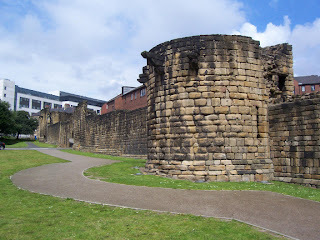 Text adapted from this article Wikipedia - Newcastle town wall. 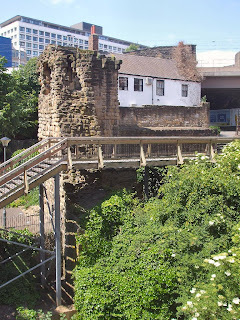 Map of Newcastle upon Tyne, modified to show course of town wall. 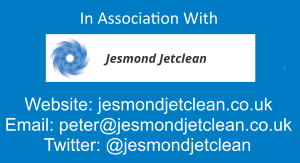 This image was produced by wikipedia user Dbam and is licensed for use under the Creative Commons License. Click for biggery. Sorry Bill, I've no idea. 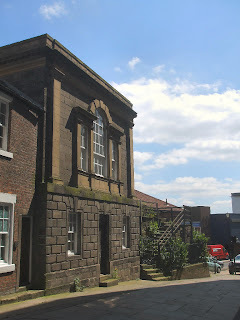 Maybe you could contact The Freemen of the City of Newcastle upon Tyne. 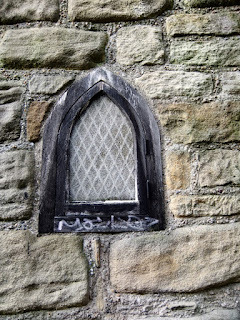 I remember reading somewhere a while back there was once to be a Jewish Graveyard around Westgate Road somewhere but it never took off due to building work although there are 5 or 6 graves there still. I wonder if that is the same as you mean. I'll check out the area some time this week, thanks. 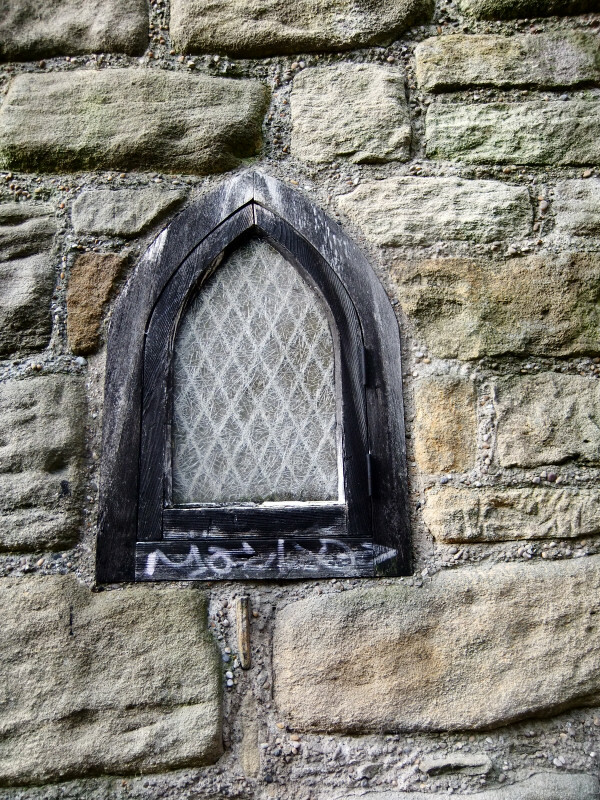 I remember that part of the wall at St Andrews churchyard had something like musical keys carved on it. 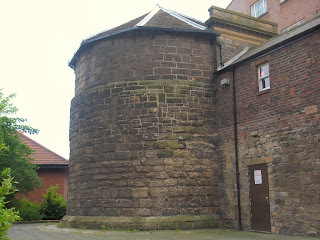 I have a photo of it somewhere in a box when I used to take kids round the city to look at its history many years back.. Thanks, I'll have to check it out sometime soon.